Alter The Press! 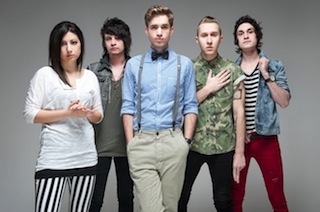 : The Summer Set Cover One Direction's "Story Of My Life"
The Summer Set Cover One Direction's "Story Of My Life"
The Summer Set recently performed a cover of One Direction's "Story Of My Life" for SirusXM Hits 1. You can watch the band's stripped down rendition of the track below.